The Rowdy Yates stand is constructed of heavy-duty rectangular steel tubing, sporting rigid MIG welds. The stand is guaranteed for a lifetime against defects. It's finished with a multi-coat PPG primer and top coat for a professional look and feel. You will be proud to own this stand. Check out the Rowdy Yates product page for more details and online ordering. Also, do not forget to browse our complete list of target stands. 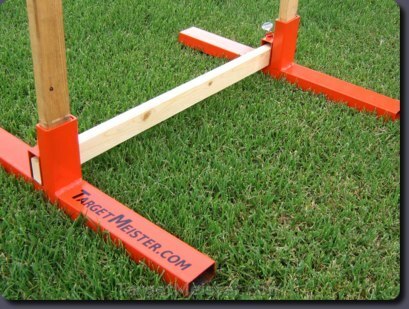 Target Meister makes a target stand for every shooter!